There’s only one thing better than a long weekend and that’s two long weekends in one month. Yup, and March is the month. There’s Human Rights Day weekend (18-21 March) and Easter Weekend (25-28 March), which begs the question… what wonderful adventures will you fill the long leisurely days with? We’ve got some suggestions for great adventures. 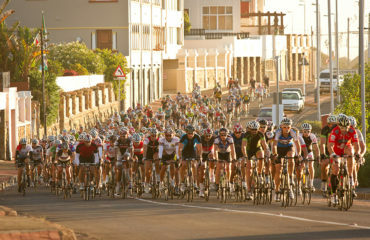 Speaking of bikes, it was a big month for cycling in the Western Cape. First there was the World Naked Bike Ride, a fun ride to create awareness about the impact of car culture; then we had the popular Cape Town Cycle Tour, the world’s largest timed cycling race; and we still have Absa Cape Epic going on. All this talk and hype about cycling and mountain biking must certainly have you wondering what the big deal is about biking. We’d love to show you. Done our way you get to experience the pleasure of biking while soaking up some stunning city sights. Opt for the City and Beach Cycle Tour or take it up a notch and try the Table Mountain Double Descent Tour. You’ll have blast either way. Because what’s Easter without a hunt for chocolate eggs? Take the little ones down to the Kenilworth Racecourse for the annual Golden Easter Egg Hunt on Saturday, 19 March. There are different hunts for different age groups, as well as some great prizes up for grabs. Find all the details here. On Saturday, 19 March lights across the world will be dimmed in support of Earth Hour, a global initiative by the World Wide Fund for Nature (WWF) that encourages individuals, groups and organisations to switch off the lights for a 60-minute period to raise awareness about climate change. This is a great campaign and also a fantastic opportunity to do something fun in the dark! Head out to the beach for a moonlight picnic, gather the kids and roast marshmallows around a fire or simply enjoy the silence. CapeTownMagazine.com has some fun ideas for things to do in the dark. The world’s most beautiful marathon, the Old Mutual Two Oceans Marathon and Half Marathon, runs around Cape Town on Saturday, 26 March. Show your support for some 27 000 runners (11 000 in the 56km ultra marathon and 16 000 in the half marathon) by making your way to one of the many designated spectator spots where the vibe is always very festive. Pack a picnic breakfast and make a morning of it. Banners, balloons and boomboxes are optional! If running is not your thing you might be keen to try hiking and trekking on Table Mountain instead. Making your way up the mountain is an absolute Mother City must-do. Choose between our half-day or full-day options, both of which are fully guided. It’s great, moderate exercise and the view from the top is a truly memorable one. And once you’re at the top there is always the option to take the cable car down again, if needs (knees!) be. 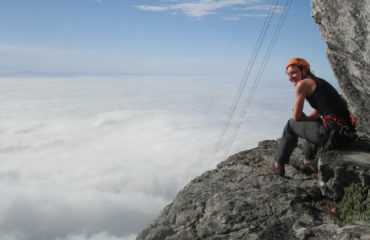 Book for hiking and trekking on Table Mountain! If you have a need for (moderate!) speed then you’ve got to meet us out on the dunes at Atlantis on one of these long weekends. Quad biking guarantees you a rush like no other as you experience off-road soft sand riding. And not to worry, our deal includes helmets, permits (for the nature reserve), and of course professional instruction. Go on, book a quad biking adventure! A weekend in Cape Town is not complete without a visit to one of the many fabulous markets around the Peninsula. Head out to Stellenbosch on Sunday, 27 March for the Easter Sunday Werf Market at Spier. Think food, drinks, fun, games and plenty of activities for the kids and you’ve got yourself a great day out. Just a little by the by, we run the oldest surf school in the city. We don’t take this kind of street cred lightly and that’s why surfing lessons with us ensures you’ll be riding a wave by the end of the day. Our lessons are structured to take the absolute beginner from surfing zero to wave-riding hero in a couple of hours. With a variety of pristine beaches to choose from, together with ideal weather conditions, Cape Town is its own surfing mecca. 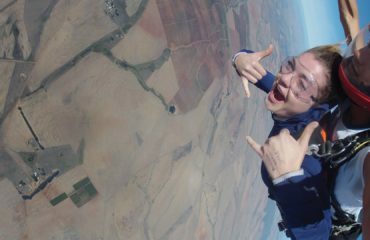 Or simply double up on the fun and enjoy one of our many Combo Adventure Options.